I have a large heap of scrap fabric that needs to be whittled down. This block is sometimes called Puss In The Corner. 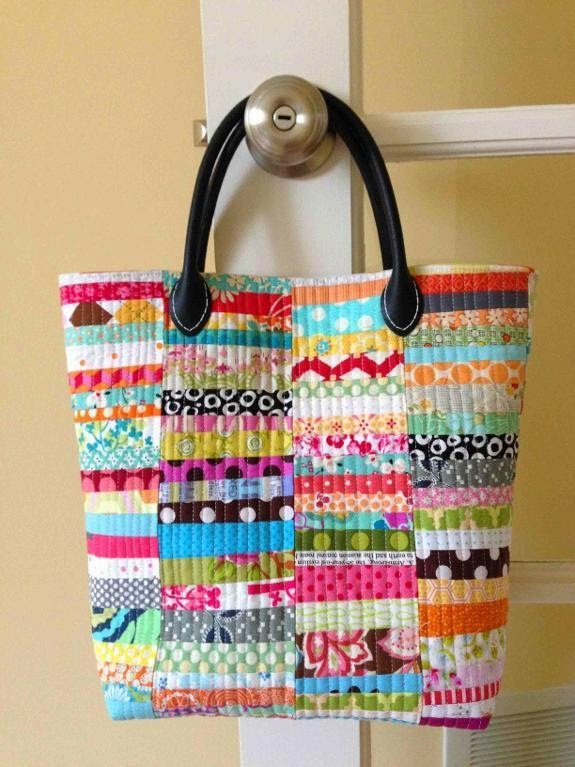 It uses a surprisingly small amount of fabric. My scrap pile isn't shrinking at all. I don't know what the quilt will be called yet but here is the beginning of it. 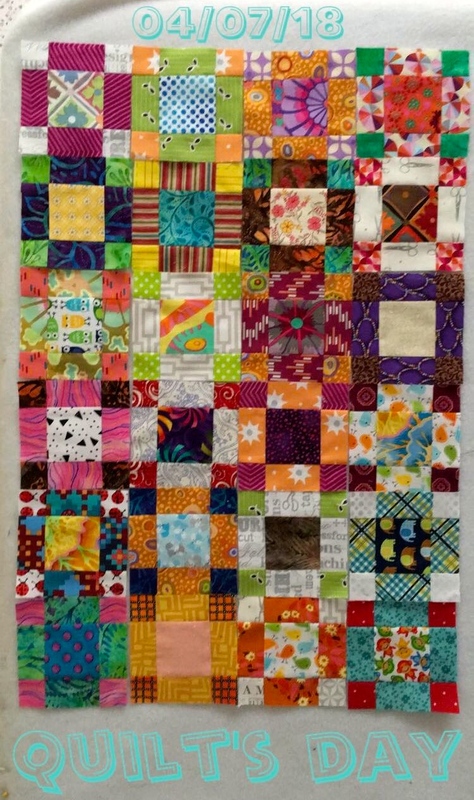 Since jelly roll fabric is 2 1/2" wide it's perfect to use for this block. Cut 2 identical squares for the sides and one square for the center and one square for the corners. ALL cut 2 1/2" SQ. Cut the pair of matching squares in half. So each piece is 1 1/4" x 2 1/2". Cut one of the remaining squares into 4 pieces each 1 1/4" SQ. Arrange it with the big square in the center and little squares on the outer corners. 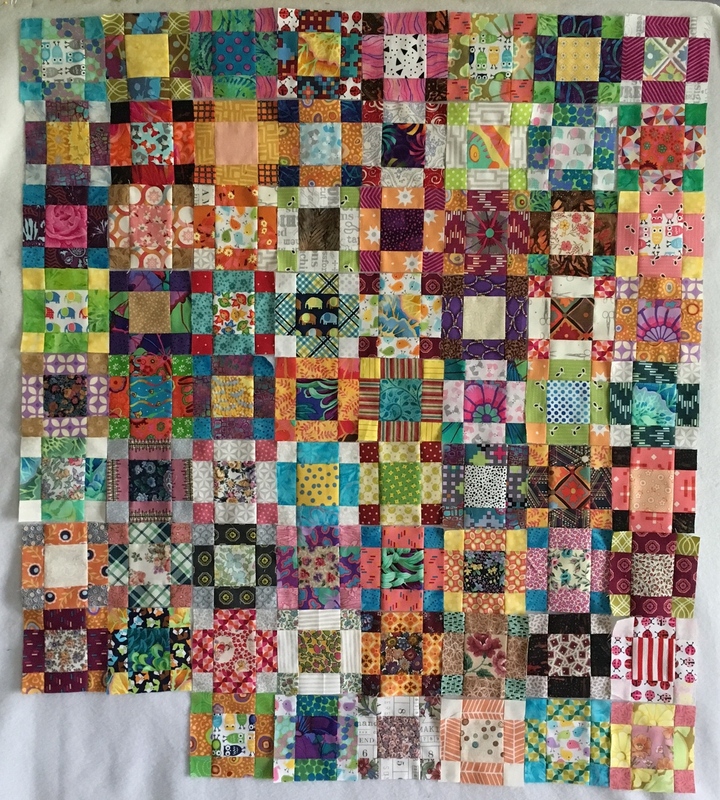 90 blocks on the design wall, not sewn together yet. I have no idea how big this quilt will be.